Campanula pinatzii Greuter & Phitos, Boissiera 13: 134. 1967. Campanula drabifolia Sm. subsp. pinatzii (Greuter & Phitos) Fed., Bot. J. Linn. Soc. 67: 281. 1973 (DOI: 10.1111/j.1095-8339.1973.tb01742.x). USDA, ARS, Germplasm Resources Information Network. 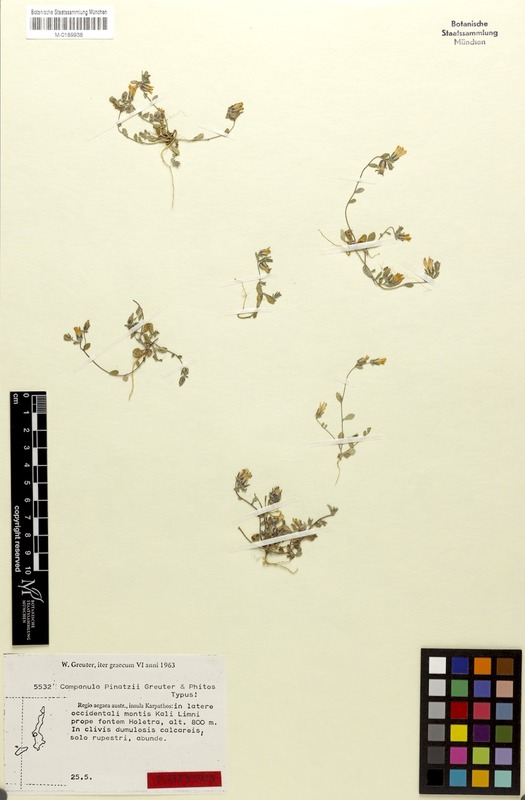 Campanula pinatzii in the Germplasm Resources Information Network (GRIN), U.S. Department of Agriculture Agricultural Research Service. This page was last edited on 28 March 2019, at 16:23.